Observation - Phasia hemiptera - UK and Ireland. 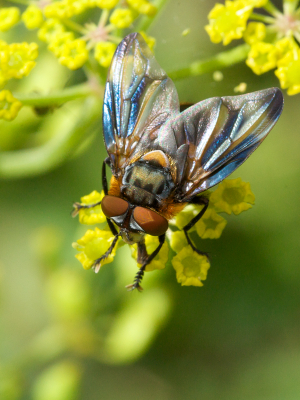 Description: Pretty fly from the Tachinid family - the male has very colourful wings. Have added a few more shots to show the ginger body hair, and also a shot of the less colourful female. Pretty fly from the Tachinid family - the male has very colourful wings. Have added a few more shots to show the ginger body hair, and also a shot of the less colourful female.